Her sunlit silky straight hair bounced delightfully on her shoulders as we strolled around the neighborhood circle. Her stroll was more of a skip-like dance as she zipped by grass patches neatly trimmed and tidy. She paused briefly as her eye caught a glimpse of golden treasure sparkling in the sunlight. Wide-eyed and giddy, she bent down and picked up her treasure. Clinching her fist, she held the new found treasure tightly. Her excitement bubbled over like a fountain without containment as she gently opened her palms to reveal the treasure she had found. "Mom! I have a surprise for you! ", she exclaimed with joy! "Come see what I have for you in my hands!" She opened her hands to announce her precious find. 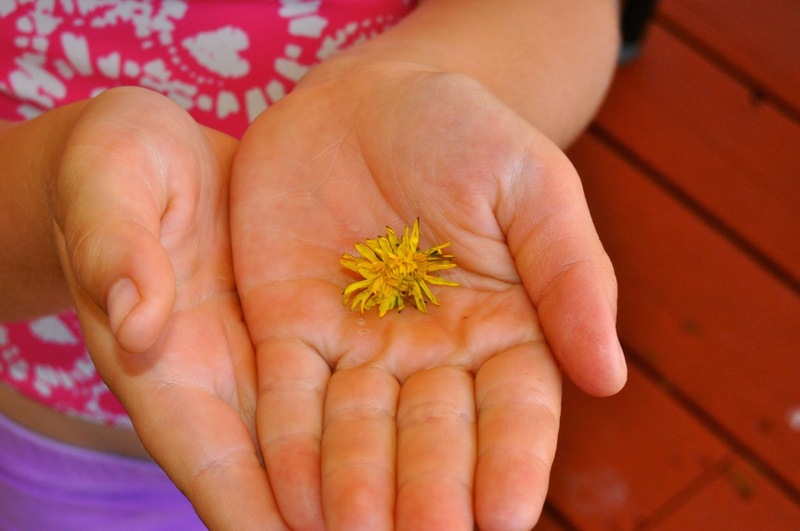 Within her hands lay a dry, crinkled dandelion. However, to her, this dandelion was not a tattered yellow weed, it was a dazzling treasure miraculously found growing amid the boring green patches. The Lord holds you in His hand. 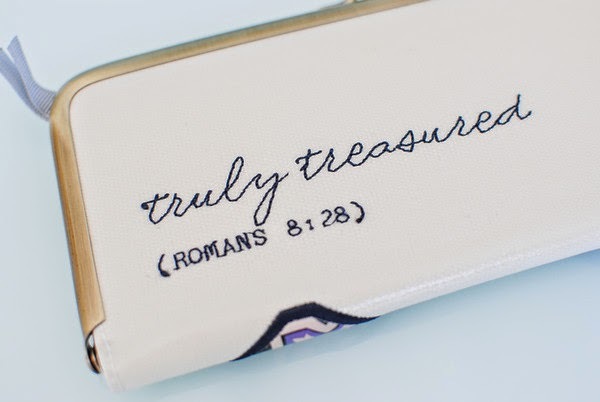 You are His treasure, "a splendid crown", securely fastened in His hand. You may feel like a dry weed, but He doesn't see you as crinkled and tattered. He sees beauty. His creation. His treasure. Today, I want to offer you a chance to win this beautiful wallet I purchased at the Proverbs 31 She Speaks Conference last weekend. The conference was amazing and I wish I could have taken all of you along with me (how fun would that be!). However, since that isn't possible, I wanted to bring you something back. To enter, all you have to do is "Like" my Facebook page and share this link on your Facebook page. If you have already "liked" my page, then all you need to do to enter to win this gift is share it on your Facebook page then go to my page to comment on this post to let me know you shared. You have until Friday to share. I will be drawing the winner on Saturday morning and will announce the winner here! 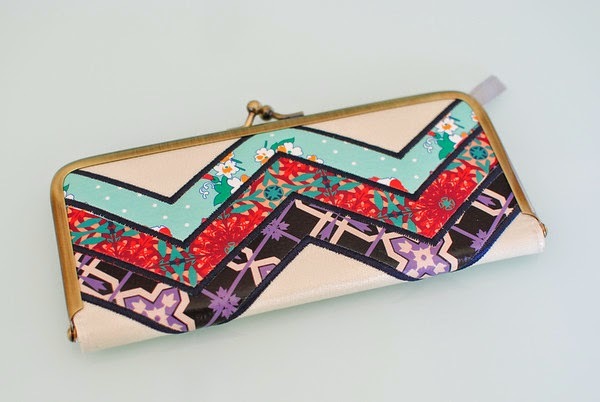 A wallet holds treasure. I pray that every time you hold your wallet in your hand, you will be reminded that the Lord holds His greatest treasure in His hand, you. The Lord calls you the apple of His eye. In the pupil of another person’s eyes, we can see a reflection of ourselves. The pupil is referred to as the “apple of the eye.” We are literally in the apple of God’s eye as our gaze locks with His. Also, His image is reflected in us as we keep our eyes on Him. The enemy fears who God created you to be and He knows you are meant to reflect Him. Therefore, the enemy has plundered and taken from you. His intent is to destroy God’s creation and squelch His image bearer. However, the Lord’s heart is to restore you to wholeness and take back all the enemy has plundered. The Lord will gain back what is rightfully yours and bring glorious redemption. Father, my heart rejoices that I am called the apple of Your eye. Thank You for fighting for me and taking back what the enemy has stolen. Father, I pray that I would keep my eyes fixed on You so that I would indeed reflect Your glory. In Jesus’ Name, Amen. Last week I went shopping with a friend for some new clothes. I bought a couple of new outfits (great sale too!). But, what if I bought those outfits and then just let them hang in my closet. What if I never wore them? What if I felt unworthy to wear these new clothes or so I just continued to wear old clothes that were worn out and rags? Jesus bought you new clothes. He has bought you a robe of righteousness. He doesn't want us to leave it hanging in the closet. Jesus paid FULL PRICE for that new robe, no sale price there. He wants us to wear our new clothes proudly. Sometimes I forget about the new clothes I have in my closet, so I end up wearing the same old clothes. What we really need to do is remove the old clothes so we can easily access the new. The same is true with our new clothes in Christ. The reason our new robe is left hanging in the closet is either because either we forget it is there or we don't feel worthy of wearing it. If you believe you are your old self, you will act like your old self. When we renew our mind in God's Word, we are removing the old thoughts and minsets. We are removing the old and replacing it with new. You are no longer dressed in rags of unworthiness, shame or guilt. Your new clothes are bright with the colors of righteousness and holiness. Throw away the old rags. Get your new garments out of the closet and wear them! God bought these new clothes for you to wear! "And you He made alive, who were dead in trespasses and sins, in which you once walked according to the course of this world, according to the prince of the power of the air, the spirit who now works in the sons of disobedience, among whom also we all once conducted ourselves in the lusts of our flesh, fulfilling the desires of the flesh and of the mind and were by nature children of wrath, just as the others. Can I just say I love it when I see a "But God" in the Bible?! If you look closely at the verses above, there is so much to see. Once we were dead in our sins, BUT GOD! God made us alive! I have to do an infomerical for God here, "but WAIT, THERE'S MORE!" As if God making us alive wasn't good enough, God went on to add more. He also raised us up to sit together with Christ Jesus in heavenly places! One of the things I love about the picture of sitting with Christ is that it indicates rest. When I feel overwhelmed, Jesus is sitting. When I feel afraid, Jesus is sitting. When I feel anxious, Jesus is sitting. He isn't running around trying to figure out what to do. He is sitting. And if I choose to, I can sit with Him. I can exchange my feelings for His faithfulness. I can sit with Him and choose peace. I can sit with Him and choose joy. I can sit with Him and choose patience. I can sit with Him and choose love. Today, will you sit down with Him in heavenly places? 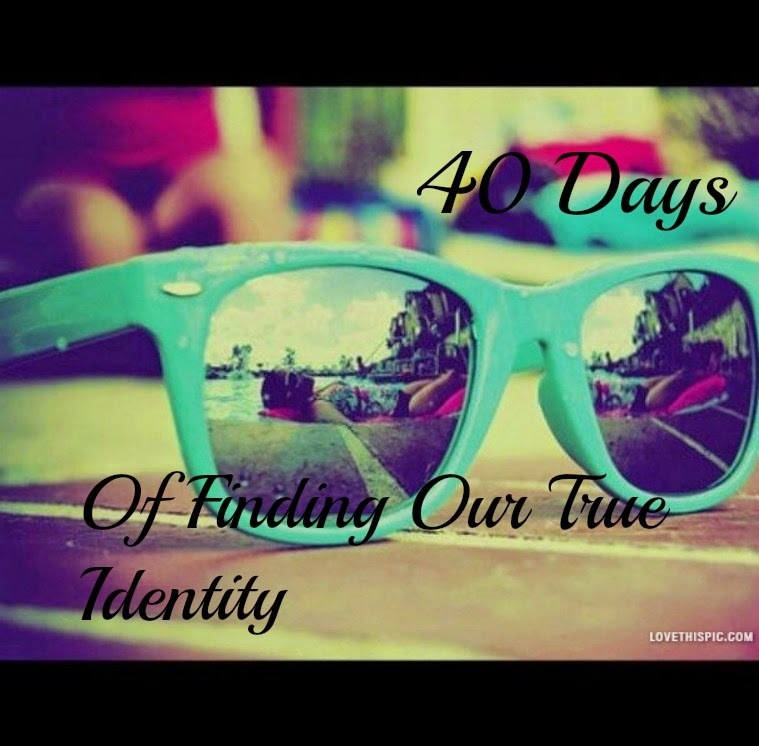 We are on Day 16 of Finding our True Identity. No matter what is going on in your world, I hope this post encourages you. Yesterday, I shared Ephesians 1:18-20 with you. Today, let's look at more of Ephesians 1 and 2. Regardless of what you are facing right now, Jesus has conquered it. He is far above all and everything is under His feet. How comforting it is to know that our God is bigger and more powerful than any force or trial we encounter. He is head over all things, including us. Depending on your view of God, this truth may cause you to recoil in fear. However, it shouldn't. God isn't a punishing, demanding God. He is just and loving and kind. Just like a loving parent, who protects and desires the best for His children. Our Father is over us, protecting, leading and directing us to His best. I pray that you would come to know His true nature and let go of any misconceived notions. God not only desires that we listen to His leading and headship, He has chosen us to shine the fullness of who He is to the world. When we fall under His leadership, we are His body to the destitute and lost. However, sometimes, we are rebellious and go our own way instead of allowing Him to be our head. Have you ever seen a chicken with its head cut off. Not a pretty sight. It runs around and around with no direction and eventually falls dead. We are like chickens with our heads cut off when we choose to go our own way instead of staying under the headship of Christ. We run in all directions until we eventually fall. When we are under His head, we are in line with His feet as well, and He has said that everything is under His feet. Under Him is the safest place in the whole world. Who wants to be a chicken, when under Him is being part of the fullness of God. My prayer for you today is that your eyes would be opened and that you would understand and know the hope of His calling, that you would know the exceeding greatness of His power that works in and through us. To stop and think that the same power that worked to raise Christ from the dead is alive and active in us is mind-blowing. Our finite minds cannot even grasp what that means or how that works. Thankfully, we don't have to understand it, it just is. The Father has a great calling and inheritance for us who believe. You are more powerful than you could ever imagine through the power of the Holy Spirit. He desires to do great things through you, not by your own power or mighty, but through Him in you. We have an accuser and his name is Satan. Our accuser would like nothing better than to defraud the name of Jesus. Jesus doesn't accuse us. When the enemy can get us to agree with him that Jesus condemns us, he is indeed seeking to disprove our Lord and claim that Jesus is our accuser. Nothing could be further from the truth. Jesus defends His daughters and raises them out of the dirt. The context of the verse above was that a woman had been caught in the act of adultery. The "religious people" of that time had drug her out and thrown her in the dirt to stone her to death. Jesus stepped in and saved her. Jesus stepped in and saved us. Don't let the enemy or "religious people" condemn you. Jesus doesn't. He carried away our shame on the cross. He was beaten so we could be made whole and healed. He was accused so we could be acquitted. Shame’s number one objective is to distort and destroy identity. The enemy specializes in exposing. His mission is shame. Shame is deceptive. Shame exposes. Shame silences. God’s mission is grace. Grace transforms and restores identity. Grace covers. A “pinion” is a wing. Picture the Lord with wings as eagles, spread out wide, covering and protecting from the shame of the enemy. Under His wings we find refuge. Under His wings, we find grace. Under His wings, we find mercy and protection. Every time the enemy tries to throw his darts of accusation and condemnation, they bounce off the Lord’s wings covering us like a shield. Under the Wings of freedom, shame loses its power. It cannot get to us with His pinions covering. His covering frees us to truth, breaks the silence, and gives us voice. It seems to be a fundamental that we should know we are forgiven. We know Christ died to forgive us of our sins and save us. However, I think we sometimes qualify our sins. Shame shrouds our minds and entices us to believe Christ died to forgive some sins, but surely there are some sins that are beyond His grace. This is a fallacy. Our ideology that condemns us needs to be replaced and we need to banish it with the same measure that the Lord used as a picture of His unconditional forgiveness and grace—as far as the east is from the west. The west cannot touch the east. There is no point in which they converge. The same is true of our sins, no matter how horrific the crime. The blood of Jesus cancels our sins and our debt. It is like Jesus took His awesome arm and pitched our sins to the other side of the world, where they are forever removed from us and cannot touch us again. Our sins are so far removed, in fact, that Jesus forgets they were ever yours. They are no longer your sins. Just like the east can never touch the west, your sin can never come back to you again. Jesus took them from you on the cross and made you clean. Today as you look across to the east or west, picture your sins at the edge of the horizon, then, further. If you take one step towards them, they take one step back. It is an unattainable quest! Praise the Lord, His mercy endures forever! You are forgiven.